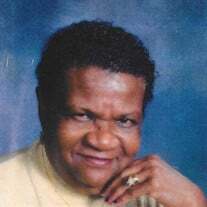 Lucille Julion, 82 passed away on January 16, 2019 at The Toledo Hospital. Visitation will be Saturday, January 26, 2019 at 3:00 p.m. followed by funeral service 4:00 p.m. at Dale-Riggs Funeral Home Chapel, interment private. The family of Lucille Julion created this Life Tributes page to make it easy to share your memories. Send flowers to the Julion's family.